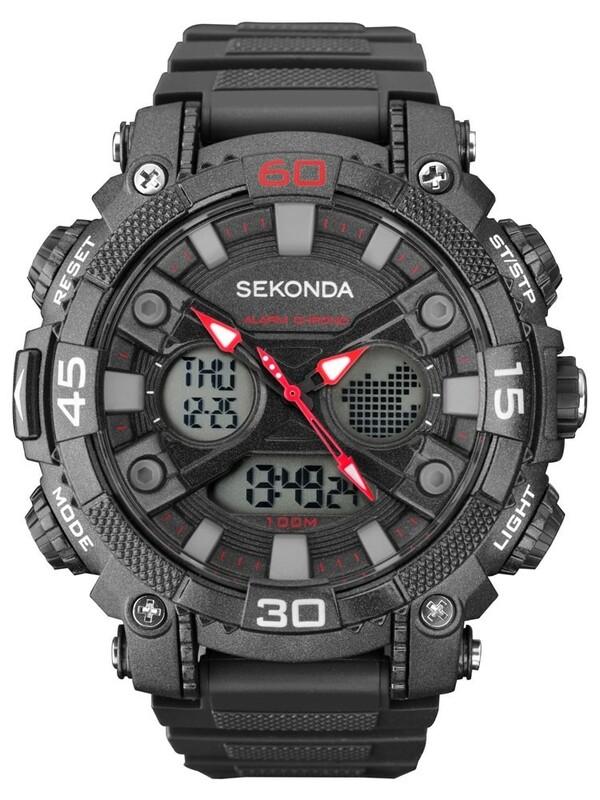 A highly functional watch from Sekonda, featuring a black rubber strap attached to a hard wearing plastic case. The LCD dial has both a digital and analogue display and features a day/date window and chronograph function. A back light and luminescent hands allow this watch to be seen even in low lit conditions and an alarm setting will make sure you're never late again. 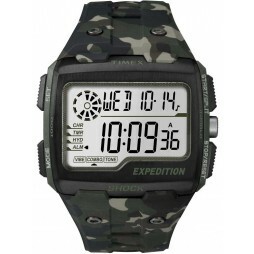 An impressive men's timepiece with high functionality for an amazing price.